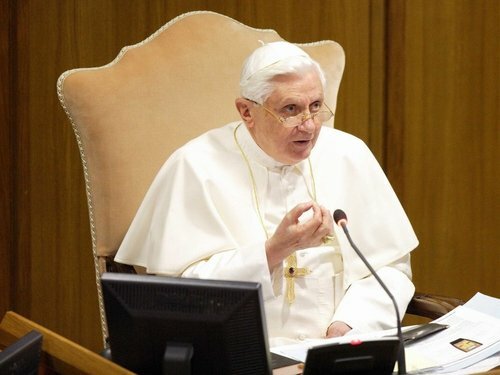 Pope Benedict has said he shares the 'outrage, betrayal and shame' felt by the Irish people over the findings of the Murphy Report. In a statement issued after the Pope held a meeting with Catholic Primate Cardinal Seán Brady and Archbishop of Dublin Diarmuid Martin, the Vatican also said the pope was 'disturbed and distressed' by the contents of the report. He will write a pastoral letter to the Irish people about sexual abuse in Ireland and the Vatican's response to the crisis. The survivors support group One in Four has described the Papal response as 'disingenuous and inadequate'. The Pontiff was accompanied to the meeting by the heads of five Vatican departments. Following the meeting, Archbishop Martin said the Catholic Church in Ireland may be reorganised in the wake of the report. 'I think that we are looking at a very significant reorganisation of the Church in Ireland,' he told reporters. Cardinal Sean Brady has said the issue of possible resignations of bishops over the Murphy report was not specifically addressed at the meeting between the Pope and the country's top Catholic prelates in the Vatican today. However, he said that they did talk about the very important issues of accountability and how the church would re-establish its credibility in Ireland. One of the bishops criticised in the report, Donal Murray, has been in Rome for the past five days for talks about his future. The report into the Catholic Church's handling of clerical child abuse in the Dublin Archdiocese detailed a litany of abuse perpetrated by priests against more than 300 victims. 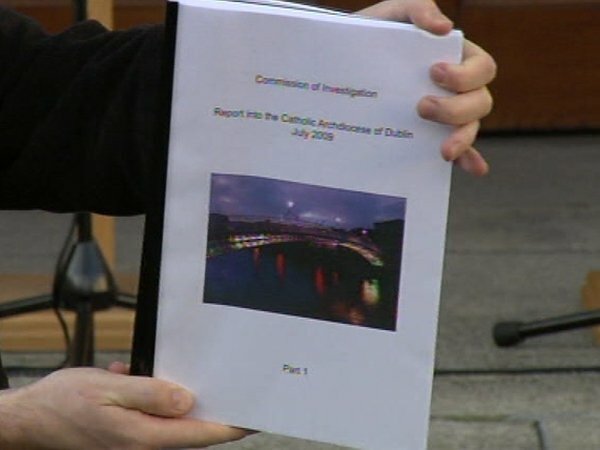 The Murphy Report said it had no doubt that clerical child abuse was covered up by the Archdiocese and other Church authorities. The report rubbished the view put forward by the Church that the abuse was hidden from view and somehow took Church authorities by surprise. Meanwhile, the survivors support group, One in Four has described the Papal response to the Murphy Report as disingenuous and inadequate.